The Strzelecki Koala is a population of wild koalas found in the Strzelecki Ranges in South Eastern Victoria, Australia. Studies have proven that the koalas found in this area differ in genetic diversity to other populations found in Victoria. The exact extent and numbers of the population is still not known. Prior to European settlement, koalas were widespread across Victoria. However, hunting and habitat loss caused their numbers to dwindle to dramatically low numbers in the late 19th century. In order to combat this, koalas were moved by government agencies from inbred populations with a very low genetic diversity on Phillip and French Islands to the rest of state. These inbred koalas thrived and are now the source of most koalas in Victoria, with the exception of populations in the Strzelecki Ranges. It is because of this that the Strzelecki Koala population is believed to be unique in Victoria. 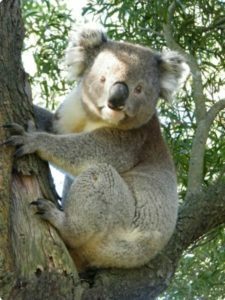 Studies have proven the Strzelecki Koalas to be a genetically intact and a diverse example of a wild population of Koalas. It is therefore feasible that this genetically diverse population will better withstand threats such as disease and climate change than their genetically uniform cousins.